Peterson's best price point in vent free burners and logs. The flames and ember bed will provide warmth and charm in any fireplace. 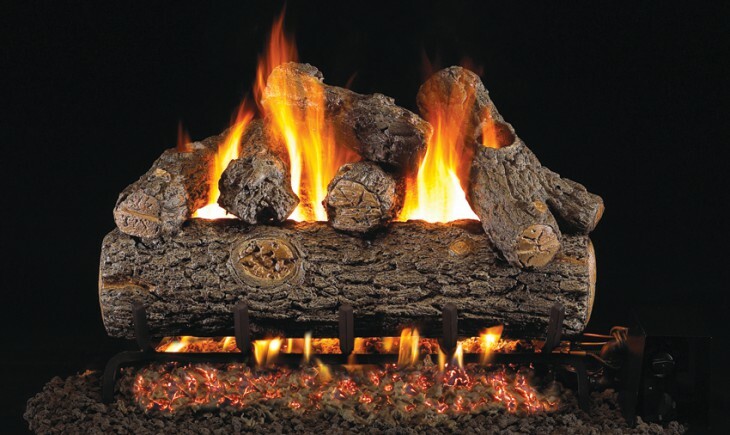 The G-9 Vent Free Burner and logs are available in 20", 24" and 30" sets. BTU ratings on the G-9 Burner are up to 36,000 BTU's. Available in manual, on/off remote and variable remote. See thru burners and logs are also available.